Powerlifter Nguyen Binh An claimed gold in the men's 54kg category and broke the Asian record yesterday at the ongoing Asian Para-Games in Incheon, South Korea. At the Moonlight Festival Garden Powerlifting Venue, An lifted 176kg on his second attempt to take the lead. Riding on a wave of adrenalin, An's trainers decided to raise the weight to 179kg in a bid to break the Asian record, and after two attempts, An succeeded. Nguyen Binh An wins gold in the men's 54kg category at the ongoing Asian Para-Games in Incheon, South Korea yesterday. "The past four years have been a difficult time for me since the 2010 Asian Para-Games. I've persevered though, and with my team's help, I've made progress. This medal will encourage me to keep on working," said An. 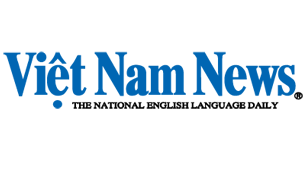 Coach Nguyen Hong Phuc said he was very surprised that An won the event. "An didn't win gold at the event four years ago. He has improved quickly to achieve this," said Phuc. On Sunday, Le Van Cong won Viet Nam's first gold medal in the men's 49kg powerlifting event. 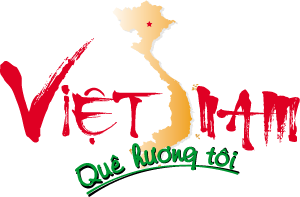 After two days of competition, Viet Nam have five golds, seven silvers and three bronze medal, and rank seventh in the medals table. Swimmer Vo Thanh Tung pocketed the fifth gold medal for the Vietnamese team in the 50m backstroke S5 event yesterday afternoon. Tung did not have to go through qualifying as there were only seven competitors in the event, but he faced strong rivals from China and Malaysia. The Vietnamese swimmer responded strongly to finish in 42.62sec, leaving Zhang Chao of China in second place. Tung also received good news yesterday when the Asian ParaGames organising board reconsidered the results of the 200m freestyle S5 event on Sunday. "They decided to strip the gold off Myanmar swimmer Aung Myint Myat and award it to Tung because the former was competing in the wrong category," said head of the Vietnamese delegation Vu The Phiet. Phiet added that Tung was the only member of the Vietnamese delegation to have won two golds so far.